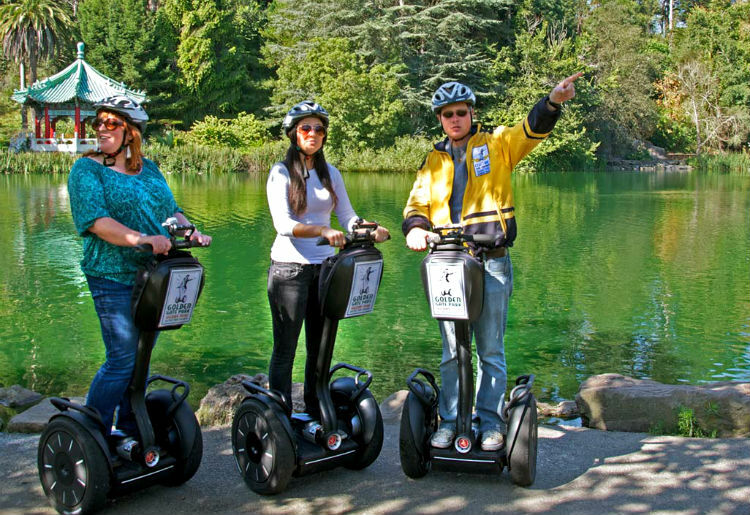 Just as the Golden Gate Park meets the Pacific Ocean, you will encounter a historically central building filled with interesting features, as well as an assortment of respectable edibles. The building, set in a Spanish colonial design, is significant in itself, serving as the last built design of architect, Willis Polk, who was well quite known in the San Francisco community. 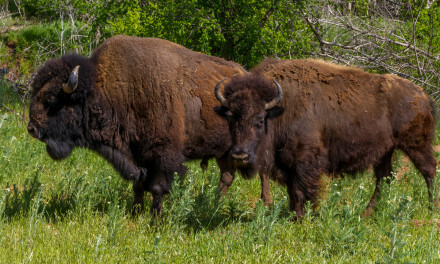 Overall, the Beach Chalet and Park Chalet each possess their own sense of welcoming style when it comes to entertaining the flocks of people who stop by for a bite to eat, a sight to greet, or a decent drink to bring in the night. 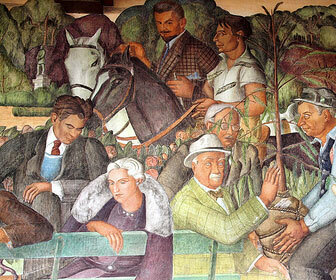 As you enter the first floor of this versatile Golden Gate Park sight, a wraparound mural created by Lucien Labaudt highlights the San Francisco area as it appeared during the 1930s. If you take the time to read the many panels accompanying the endearing scenes, you will gather bits and pieces of how it felt to live in the city during Depression-ridden times. The first floor also offers a wide-range of historical finds at the visitor center, as well as interesting items you may take home with you as you browse the colorful gift shop. Before the Beach Chalet was erected as an evolving dining and entertainment center, the two-story building was opened in 1925 and served as a changing room for people frolicking about the ocean, which is located across the street. Decades passed and eventually the building fell into poor condition before in 1997, the site was transformed into the brewpub and restaurant that stands today. 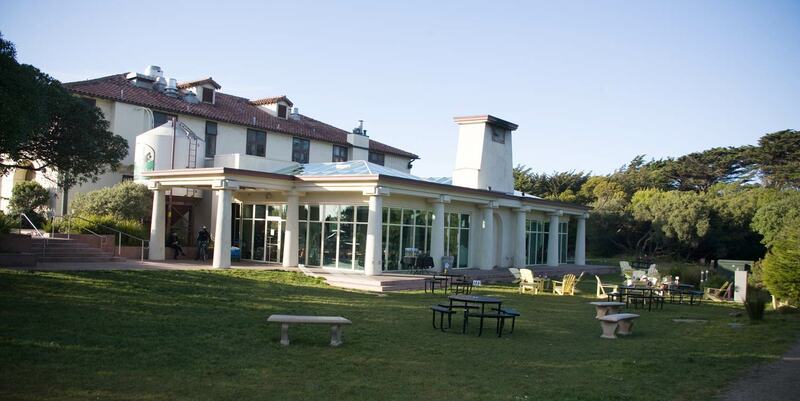 As you climb up the attractively carved staircase to reach the Beach Chalet, you will come across an entertaining brewpub and restaurant with calming views that reach past Ocean Beach to the Farallon Islands. When taking your seat at a Beach Chalet table, the menu features a wide-range of American fare with a seashore twist for breakfast, lunch, and dinner. Live entertainment is also a part of this amusing atmosphere. Situated on the ground floor, the Park Chalet offers a different atmosphere for visitors to settle into, including a stone fireplace and lovely glass ceiling. 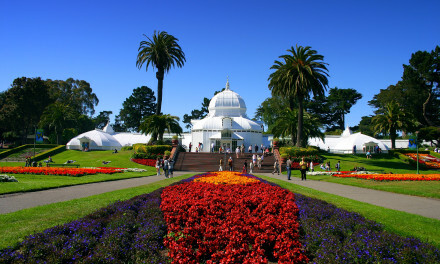 Guests may choose between indoor or outdoor dining, which provides intriguing surroundings, such as a garden and the rest of the Golden Gate Park. Lunch and dinner meals are offered at this establishment, which also supplies live music on select evenings. a) Browse Historic Artifacts: The first floor offers a walk back into time with all of the notable events that have historically touched the people of San Francisco, such as the 1894 Mid-Winter Exposition and other exciting park events. b) Take a Look at a Spectacular Toy Model: If you’ve ever wondered what a bird sees when they fly high in the sky, experience their kind of view as you visit the three-dimensional Golden Gate Park model located on the first floor of the building. c) Shop Til You Drop: The first floor also provides access to a gift shop that lets you bring home a multitude of city memories, including street signs and other regional odds and ends. 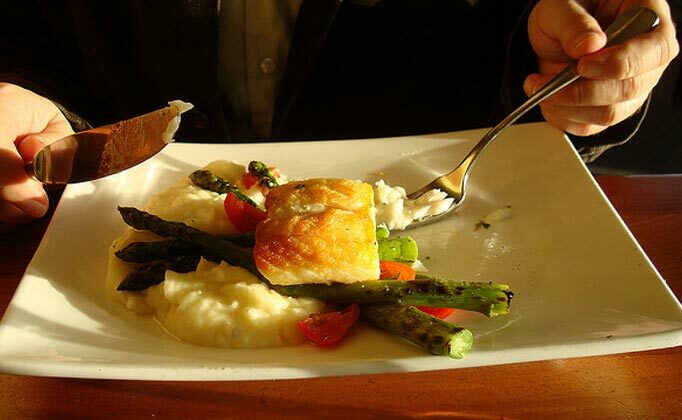 d) Sample Local Cuisine: Buttermilk fried calamari and the grilled Atlantic salmon are some of the most talked about menu items offered at the restaurants. Located close to the Queen Wilhelmina’s Windmill and the breathtaking Dutch Tulip Garden, the Park Chalet provides BBQ delights, crab martini, and flatbread pizzas to boost your energy before exploring the rest of the park. The Beach Chalet has Prime Rib Mondays. e) Drink and Be Merry: Delicious cocktails, house-brewed ales and root beers satisfy a parched mouth during a night out on the town. Drink specials are a common favorite to sample when visiting both the Beach and Park Chalet. Special events include Taco Tuesdays with discounted margaritas, and a Happy Hour from 3 p.m. to 6 p.m. Monday to Friday. f) Enjoy the Tunes: Depending on the season, live music is a fixture at both Chalet sites. Come listen to bands and musicians that represent a wide range of entertainment, including acoustic blues, pop rock, Latin jazz, R&B funk, and other world sounds. Address: Both the Beach Chalet and Park Chalet are located at 1000 Great Highway. 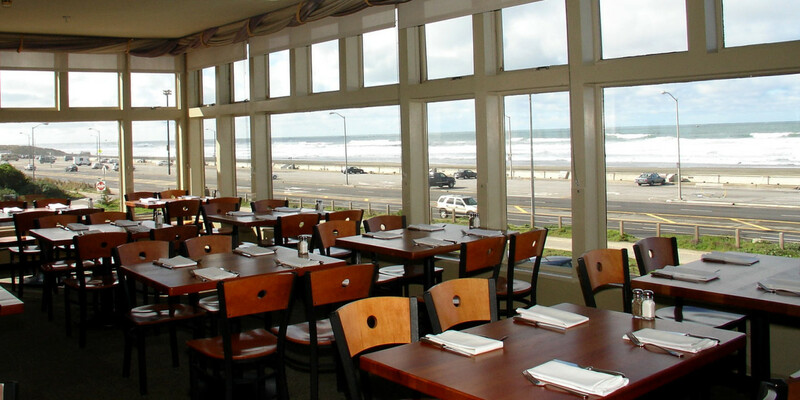 The Beach Chalet is open for breakfast, lunch and dinner. Monday to Friday open 11 a.m.
Saturday & Sunday open 10 a.m.
Sunday to Thursday until 9:00 p.m.
Friday & Saturday until 10 p.m.
Bar open Mon-Sun until 9:00 p.m. The Park Chalet is open for lunch and dinner (Tuesday-Sunday; noon-10 p.m., and until 11 p.m. on Fridays and Saturdays). Brunch: Saturday & Sunday: 11 a.m. – 3:30 p.m.
Lunch/Dinner: Monday, Thursday, Friday: 12 p.m. – 5 p.m.
Bar: Monday thru Friday: 12p.m. – 6 p.m. 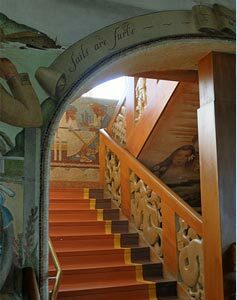 Interesting Fact: The Beach Chalet showcases the elaborate woodcarving of Michael Von Meyer, who through his work brings sea monsters, mermaids, octopuses, and old ships to life.